How Do High-Quality Dental Restorations In Orange Park Benefit You? The vast majority of people have experienced some kind of damage to their teeth such as cavities, chips, or fractures. And an estimated 120 million people in the U.S. have lost at least one tooth. Dental restorations in Orange Park can not only repair damaged teeth, but also replace teeth that couldn’t be saved. This kind of dental care is incredibly important for having a healthy smile and also benefits your overall health in several ways. Learn more below! Dental problems like cavities only get worse in time, so it’s important to treat these issues as early as possible so your teeth can be restored with procedures like fillings or dental crowns. Feeling self-conscious or embarrassed about gaps in your smile. Other teeth shift, move, or tip forward to “fill” the empty space, making them more susceptible to cavities and gum disease. When teeth are taken out, the jawbone in that area is slowly lost. Over time this changes the facial structure and leads to an aged appearance. Although you should save your teeth when you can, there are some situations when extractions are necessary. Thankfully, there are some fantastic replacement options. Dental implants – A dental implant is a titanium post that’s placed in the jaw to replace the root of a missing tooth. This key factor gives implants unparalleled strength, stability, and longevity and also maintains the bone mass in your jaws. Implants can last many decades, or even a lifetime, with basic care and maintenance. Bridges – A bridge can be used to replace a single missing tooth and will last an average of 10-15 years. Dentures – Both full and partial dentures have come a long way in recent years and fit better than ever. They have a lower initial cost than other options, but need periodic adjustments to continue fitting well. They typically need to be replaced every 5-8 years. Every tooth is important for eating a healthy diet, speaking clearly, and feeling good about your appearance. And repairing your teeth with high-quality dental restorations has a direct impact on your overall health as well. For example, cavities are actually a type of infection which can turn into a more serious type of infection or abscess if left untreated. This can not only lead to a severe toothache but also become dangerous or even life-threatening if it’s not addressed in time. Everyone needs a full complement of teeth for a healthy smile. By restoring or replacing damaged teeth as soon as possible, you’ll have a lifetime of great oral health. 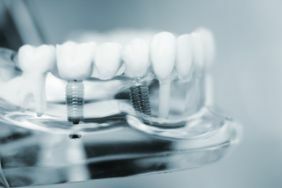 In addition to over 10 years of experience in general dentistry, Dr. Matthew Nawrocki is also a prosthodontist (specialist in replacing damaged or missing teeth.) He knows that restorative care changes lives for the better and provides a variety of outstanding options to accommodate every situation. If you have any other questions about dental restorations in Orange Park, he can be reached via his website. Comments Off on How Do High-Quality Dental Restorations In Orange Park Benefit You?